Brief realization when importing content from 2010: Flanz Belgian Wine turns four years old this year and I still have two bottles left. Perhaps it is time to pop these last two open and enjoy a thoroughly aged, finely crafted experimental homebrew. We last enjoyed a bottle celebrating New Years 2012. The taste changes with each sip. It starts with a huge, traditional Belgian head and has a hot, physically warm feeling as some of the alcohol gasses seem to evaporate for a minute or two. To the tip of the tongue, Flanz tastes beer-like and fizzy. Once it hits the back of the tongue, the flavor becomes sweet and wine-like. If you add yeast to your glass, the finish becomes sweeter. Unfortunately, yeast gives me tremendous heart burn so I go for the clean pour. Since the summer, the beer fridge has been on full blast so the yeast is probably permanently stuck to the bottom of the bottle, making the liquid nice and clear looking. 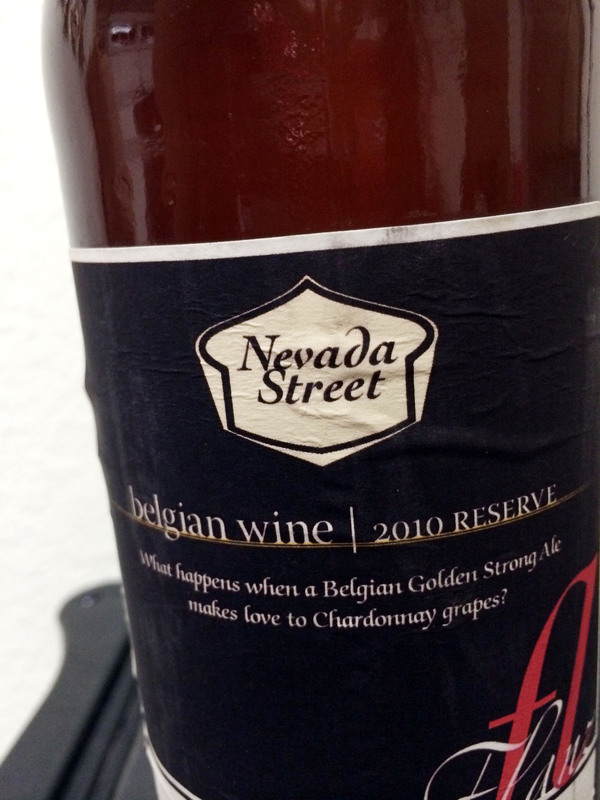 In all, this was an incredibly successful Belgian wine recipe that aged well and the label is my favorite (named for my awesome wife). I’ll follow up with a post about how the beer has aged after we open the last two bottles.